With a whisk or the whisk attachment, beat the yogurt on high with the coconut rum. 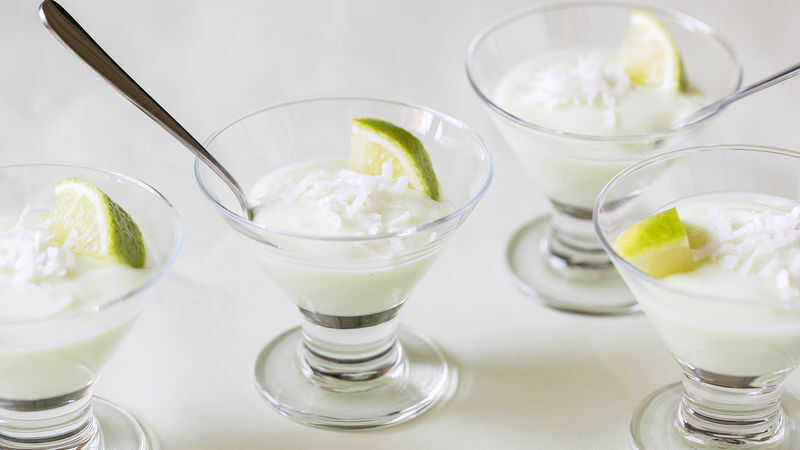 Spoon a small amount into mini flares (they look like mini martini glasses) and then garnish with a key lime wedge (or lime wedge) and some shredded coconut. I took a risk making these, really not knowing how they would turn out because I've never mixed yogurt and alcohol! Sugar and Charm shares her love for entertaining, baking and design on her own blog, sugarandcharm. Check her Tablespoon member profile for great new recipes!